This town of Granada located on the Costa Tropical is a popular tourist destination for visitors seeking both beach tourism and mountain. With a Mediterranean and subtropical climate, summers in Almuñecar are hot and humid with mild nights thanks to its proximity to the sea. 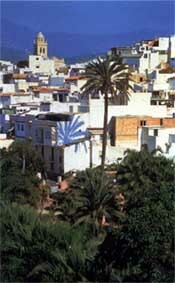 Almuñecar in the Tropical Coast region,, of Phoenician origin, was known in ancient times as Sexi until the arrival of the Muslims who changed the name into ' Hisn Al- Monacar' meaning 'surrounded by mountains'. In Phoenician times Sexi had a well-established economy based on salted fish and garum and the Romans later built temples, theatres and aqueducts. After the Arab arrival and the establishment of the kingdom of al-Andalus, Almuñecar became the site of a castle that was intended to defend the coast and eventually became the most important coastal city in the kingdom of Granada. One of the main attractions are the beaches of Almuñecar, with a coastline of 19 kilometres and beaches for all tastes, from natural coves and nudist beaches to beaches where is practised diving or fishing. Among the typical festivities in Almuñecar we highlight the celebration of the summer solstice in San Juan, a typical celebration along the Spanish coast during the night of 23 to 24 of June. If you visit Almuñecar you cannot miss the opportunity to taste its cuisine among which we highlight the Mohina casserole, a dish of the area of ​​Mozarabic origin where predominates the almond. Other typical dishes are the cake al-haju and Merengazo, both with almonds. 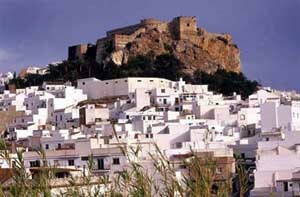 Monuments in Almuñecar worth visiting are San Miguel Castle of Arab origin and Devil's Tower situated next to the coast. 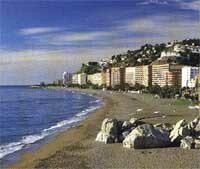 To get to Almuñecar, take the A-7 passing through the municipalities of Rincon de la Victoria and Torre del Mar; keep driving until the exit towards Almuñecar shortly after passing Nerja.